This is a fascinating book. It's amazing to learn how controversial early rock n roll was at the time. I first heard this music as a child riding in the car with my parents, and to me it seemed laughingly tame. 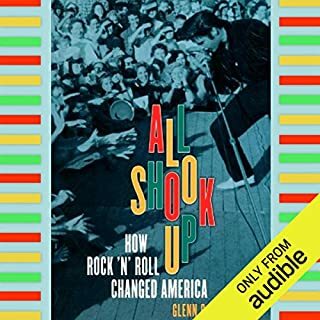 Something that hit home for me was the similarity between how the older generation described rock n roll in the 50's, and how I describe the music of today. Many of the arguments I use to ridicule today's music are the same ones used by Frank Sinatra to describe Elvis. I struggle with the basics of economics, and this book deals with just that. This is an entertaining, enjoyable introduction to the subject. Even if you have a strong grasp on econ you may learn from this book. 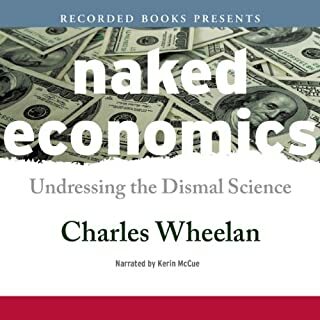 I'm talking specifically about some of the anecdotes and examples that Charles Wheelan gives in this work. Kerin McCue isn't really special, but he's perfect for this subject. You may not be able to speed listen due to the nature of the topic, but it won't be because of McCue. If Michael Lewis decided to write about about the history of the way that moss grew on a random tree in Pennsylvania, I would read it. I would pay to read it. This is a book you can read in one sitting. It's exciting, entertaining, funny, and you will be amazed. And you will remember from previous Lewis books, that Wall Street is always up to no good. 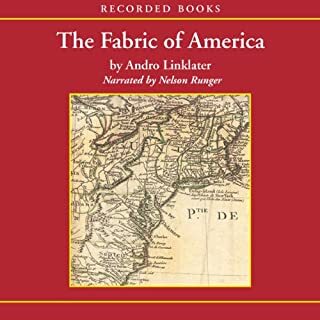 Using the same blend of narrative and rhetorical brilliance that made his critically acclaimed debut history so successful, Andro Linklater begins with premier U.S. surveyor Andrew Ellicott calculating the Pennsylvania-Virginia border in 1784 - using telescope, chronograph, and astronomical tables. As pioneers move westward, Ellicott and his kind create property which hastens the formation of stabilizing government. I was disappointed in this book. I suppose I did not do my due diligence in confirming what the topic or subject of the text really was. I expected it to be about the different backgrounds and personalities of the different states. Instead, the book turned out to be more of a history of the way the borders of each state were drawn up. Not so good. The narrator has an annoying style and voice. Fortunately, he is intelligible at higher speeds, and I think most readers are going to want to crank this baby up. This was actually the first book I ever listened to on 2.5 speed. I would describe the narrator's voice as sounding like Tim Brando. So when you speed it up it's like hyper-Brando. I got used to him after a while. Unfortunately, even when you get used to him, there are some extremely irritating and distracting parts about the narration. It seems that the narrator was relatively inexperienced. He makes loud gasps for breath before beginning to speak and immediately after finishing. Once you notice it, it's really hard to concentrate on anything else. The only thing I found that helped was turning the volume way down, but of course this makes it harder to speed read, so you may have to just wait until you are used to it. In addition, the narrator was obviously unaware of the perils of not hydrating during the process. There are many times when you can hear the saliva swishing around in his mouth. In the narrator's defense, he obviously didn't get much help from whoever edited this thing. One last strange aspect of the narration is that he reads De Tocqueville as if he was Irish, not French. The author sets out to disprove Fredrick Jackson Turner’s thesis that the frontier experience is what makes America different. Strangely, he really only gets around to directly disputing this in the final chapters. I found it difficult to get into this book. It’s a pretty dry subject to begin with, and there’s not much action early on. The first half of the book is extremely boring. That’s just the honest truth. The first half of the book is essentially a biography of Andrew Ellicott, That may sound like hyperbole but it isn’t. Ellicott’s name is probably used more often than the word “the” during the first half of this book (okay, that was hyperbole). The narrator reads Ellicott’s words in an exaggerated tone that is silly but is at least easily recognizable. 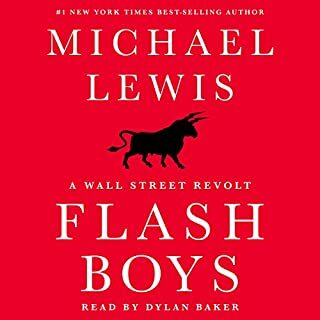 Maybe the best thing about this audio book for me was learning about two American historical figures that I knew little or nothing about previously. Benjamin Banneker—a black American who proved himself to be a very talented surveyor in the late 1700’s—and James Wilkinson—a guy who may have been the biggest traitor in the history of the country. The second half of the book is much, much more interesting. Unfortunately, it’s a bit rushed compared with the hyper-detailed first half. The ending of the book is strange. Most books have a wrap up and at least some sort of closing statement. This book does get back to discussing Turner and the frontier, which is how the text began. However, there really is no concluding chapter or even paragraph. It just sort of cuts off. What’s more, the material being discussed at the end of the book is totally superfluous and doesn’t relate to any real time line. It’s almost as if the final pages of the book were an appendix, but it isn’t presented as such. This book is worth reading. It’s fairly boring overall, but you will most likely learn from it. Also, the second half of the book is actually somewhat interesting. 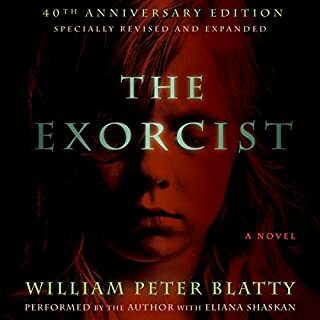 The Exorcist is one of my favorite movies, but this was my first time reading the book. Most of my thoughts are in regards to the similarities and differences between the novel and the film. The author actually narrates the book himself. I was actually a little bit disappointed in this at first, but I realized that Blatty would be reading it exactly the way it was supposed to be read. Still, he’s not a professional narrator, so there were limitations. The first half of the book is remarkably similar to the movie. At times the dialogue is exactly the same, word for word. This wasn’t too surprising because I knew that Blatty had helped with the film. The second half of the book is quite different. Really beginning with the scene in which Regan is hypnotized, the book becomes a different story from the movie. One thing that anyone who has seen the movie will notice is that the demon personality is different from the one we see in the film. In the movie, the demon personality is almost always abusive; in the book, the demon talks more like an actual person. The demon often uses a fancy, old-fashioned style of speaking, which is missing from the movie. It makes references to different historical figures and seems to know the inner secrets of all of the members of the household. In addition, the personality of the dead British film director has many more lines in the book. In the movie he really only has the one famous line when the head turns around. In the novel, the Dennings personality will take over for long periods of time. Some of the other key differences are in plot and theme. In the movie version, there really is no focus other than the horrors going on in the MacNeil house. The homicide detective is a great character in the movie, but he really only adds to the suspense and spookiness of Regan’s situation. In the book there is this running conflict of the detective trying to figure out who killed Dennings and how. That’s not really a part of the movie. Yes, we feel Chris being extremely nervous when the detective comes to visit, but we don’t spend much time at all thinking, “oh gosh are they going to arrest Regan?” In fact, the book explains that part of the reason Chris does not want Regan committed is that she thinks it will be discovered that she killed Dennings, and will be put away for good. The character of Karl, the manservant, is much more important in the book. In the movie, the various servants and assistants are almost prop pieces. These characters are much more fleshed out in the book, particularly Karl. In the book, Karl has a drug addict daughter who he gives money and prescription pills to. This is entirely missing from the movie. I feel like the film version of the Exorcist is a lot like the film version of the Shining. Both films include small snippets of themes or scenes from the book, without explaining their meaning, and this ends up adding to the overall spookiness and mysteriousness of the film. For example, in the Shining, Stanley Kubrick included the old woman in the bedroom and had a shot of the guy dressed up like a dog. These were stories that were explained in the novel, but in the movie they are sort of random. There are a few similar things in the Exorcist. Throughout the film, we are never really sure whether it’s a mental disorder or whether Regan really is possessed. However, for the most part we don’t think much about it, and just go along with the idea that she really is possessed. In the book, much more is made of things like Regan not being able to do things on command, or say the name of Karras’ mother. In the film, Regan reacts violently to the water, which is actually not holy water. This also happens in the book, but later there is reason to believe that the demon did that only to confuse Karras. In the movie, Karras basically goes from not believing that Regan is really possessed to asking for an exorcism in a quick change. One of the biggest themes of the novel is Karras trying to convince himself that Regan is possessed, not just so he can ask for the exorcism, but because this would also help to restore his own faith, which he has lost. His loss of faith is certainly covered in the movie, but not to the extent that it is in the novel. One interesting thing is that in the novel, things such as Regan moving objects with her mind or being able to read other people’s thoughts is not considered to be supernatural. Karras talks about how those sorts of things have been proven to occur, so it won’t help to prove that this is an authentic possession. In the film that is really never discussed. The mind reading and moving objects around seem like proof that the possession is real. One of the parts of the movie that I always found strange and unexplained is the desecration that occurs in the church. Bizarrely, the novel tells us that the fingerprints of both Regan and Karras are found on the note card left at the scene. This really only makes it all the more mysterious. It’s actually one of my least favorite aspects of the entire story. For some reason, I just have a hard time imagining Regan going over to the church and doing a bunch of vandalism. That may seem strange to say considering that the story includes things like possession, ESP, telepathy, and a person turning their head around 360 degrees. I just don’t really see it. Overall, this book is very enjoyable. It wasn’t quite as scary as I had hoped, but it was perhaps better than I expected in a number of other ways. This is one of the best non-fiction books I've ever read. I wanted to read this book before I started watching the series on Hulu. I was a little worried that it might take me several weeks to read, and therefore I would have to catch up. That was not the case. I would have listened to this book straight through with no breaks if it weren't for things like sleep, bosses, and girl friends interrupting me. This book is entertaining, fascinating, and enlightening. 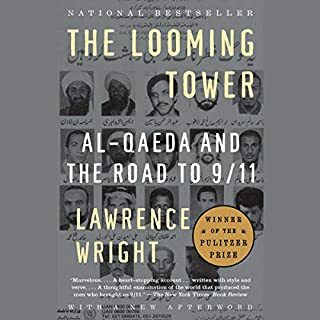 I have no idea how Lawrence Wright was able to find all of this out. Honestly, how did he get all of the secrets? How is he able to tell the story from the point of view of Bin Laden and other terrorists? It's remarkable. And I think that's really the biggest thing: this was like no book I've ever read in terms of the insider information. How the hell did Wright find out what Bin Laden said AFTER 9/11? This book is beautifully written. Brilliant story telling. A tremendous history, which goes all the way back to the first half of the 20th century. It's a masterpiece. But a warning: it is infuriating. All of the anger that you felt after 9/11 will return. At the same time, Wright brings to light the human aspects of both the villains and the heroes. As always, you will come away thinking that the CIA is awful. It's hard to read a book about the last 70 years of American history without coming to that conclusion. The book is read by the author, which I was a bit disappointed by, but Wright does a very good job. He even changes his voice when narrating for certain characters. You can hear the emotion in his voice at times. They were four exceptional soldiers, a new generation asked to save an army that had been hollowed out after Vietnam. They survived the military's brutal winnowing to reach its top echelon. They became the Army's most influential generals in the crucible of Iraq. Collectively, their lives tell the story of the Army over the last four decades and illuminate the path it must travel to protect the nation over the next century. 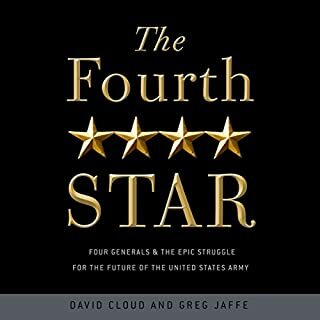 This book tells about the lives and experiences of four modern American generals. I typically don't like that sort of multi-biographical approach, but I got used to it in this case and ended up enjoying it. It did take me a while to get involved in it. It may be a bit confusing for listeners at times because the authors switch back and forth between the four men, and eventually they interact with each other. We get a good background on the four of them, but it's still hard, as they are all pretty similar. It may be hard for readers to keep them straight. If you aren't able to separate each one from the other, it won't be as meaningful of course. It gets even more confusing when many other additional characters are introduced late in the book. One thing I was disappointed in was that the book doesn't really explain the star system. It's not as though the moment when each general achieved that 4th star is covered either (although there are some references to it). The narrator is absolutely perfect for the subject matter. It took me a while to get into this book, which is unusual for me when it's a WWII book. Eventually I got rolling and really enjoyed the book. Ian Kershaw sets out the book's purpose in the introduction. This intro is thorough and terrific (although listeners may feel that it repeats much of what is in the preface). 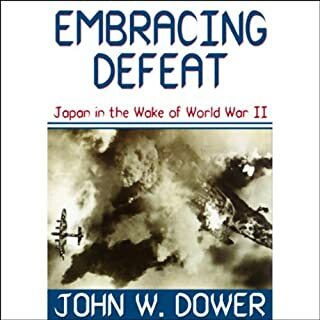 He wants to explain why Germany fought on to the end, bringing on total destruction rather than surrendering the way that almost all losing entities eventually do. The author makes clear that this is not a military history. He also explains that his book does not go further than capitulation. In addition, it is written from the viewpoint of the Germans only. 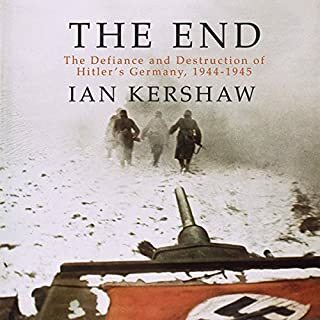 Kershaw actually does give plenty of necessary details about the military situation, and in the conclusion of the book he does make some comments about the post-war situation. But all of that is very welcome. It will most likely take the listener a while to get used to the narrator. To be blunt, the narrator is boring. He also tends to trail off, which makes speed listening difficult at times. He is also prone to weird pauses (again, making it difficult to speed listen). The first quarter of the book is a bit dry, and the narrator certainly does not help. Eventually though the pace of the book picks up and it really is quite enjoyable. This is a fascinating look at the psychology of the German population and the factors that led to Hitler leading the country into total war and finally to total annihilation, well after it was clear to most that the war was lost. World War II and Third Reich scholars will definitely appreciate this book. The Mexican War introduced vast new territories into the United States, among them California and the present-day Southwest. When gold was discovered in California in the great Gold Rush of 1849, the population swelled, and settlers petitioned for admission to the Union. But the U.S. Senate was precariously balanced with 15 free states and 15 slave states. Up to this point, states had been admitted in pairs, one free and one slave, to preserve that tenuous balance in the Senate. I read this book immediately after finishing a book on the Texas revolution and a book on the presidency of James K. Polk. This really helped me get familiar with the period. The period between the presidencies of Andrew Jackson and Abraham Lincoln is know for being a time when American politics were dominated by powerful congressmen. Fergus Bordewich paints a very detailed portrait of those men and the extraordinary work they did to help keep the Union of America together for another decade before the Civil War. Something I found interesting was that Bordewich began the book on a very personal note, explaining what drew him to the subject. He talks about reading a quote from Daniel Webster--who is often portrayed as a friend of the abolitionist movement--in which the famous politician vigorously defends the Fugitive Slave Act. The author was puzzled at the contradictory elements. Thus, he was inspired to write about the famous Compromise of 1850. 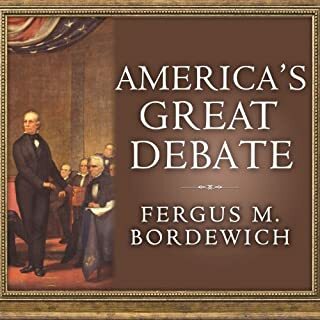 Not surprisingly, Bordewich discovers--as the reader will as well--that American politics were (as always) extremely complicated. I did enjoy the author's introductory thoughts. I found his tone to be a bit annoying. He often writes as a critic looking back and judging events from 200 years ago by the standards of today, rather than as a classical historian. This is made even worse by the narrator's exaggerated style. I got used to both the author and the narrator after a short time. Speed listeners will have no trouble with this book or the narrator. The author does a tremendous job of taking repetitive, monotonous congressional happenings and turning it into an exciting story. There are many dramatic moments. I thought Bordewich did a very good job of getting inside the heads of the various key players. He also offers a splendid wrap up and conclusion, explaining how these events would come to impact things in the future, and what things might have been like had the compromise not occurred. One humorous thing I will remember about this work is Bordewich falling in love with the word, "fairly." The author uses the word not as it is mostly used today, to indicate justice or to mean "pretty good," but to emphasize surprise or extreme. As in: "Mary was delighted by the present and fairly beamed." Anyway, at one point during the book, Bordewich uses the word in that sense continuously over the course of a few chapters, and then really doesn't use it much again. It was interesting.